When you hear about a Hitler mustache or Toothbrush mustache, you immediately think of something absolutely terrible. In fact, there is really nothing scary about this mustache. However, Hitler made sure the whole world hates it. Perhaps the time has come to breathe a new life into the toothbrush mustache. There are actually many advantages to a Toothbrush mustache (also known as Hitler mustache). It is very easy to make and maintain and can make you stand out of the crowd. It is not compulsory to make this mustache exactly the same as Hitler did. There are some interesting variations you can check out to make a final decision on whether or not this mustache deserves some attention. Times are changing and so is the world. Perhaps the mustache fashion will soon change too. Fashion is a tricky thing. Sometimes the fashion world takes a look at the past to come up with something new and original. Hitler and toothbrush mustaches are waiting for their chance. Only a few famous people allowed themselves to sport such a mustache since the world associates it with horrors of World War II. However, the war is left in the past. It is obvious that the mustache is not something we can blame for it. So, perhaps you can give this mustache a chance after looking at it from another perspective. We have compiled a short list of such toothbrush mustaches to give you an idea of what they can look like. 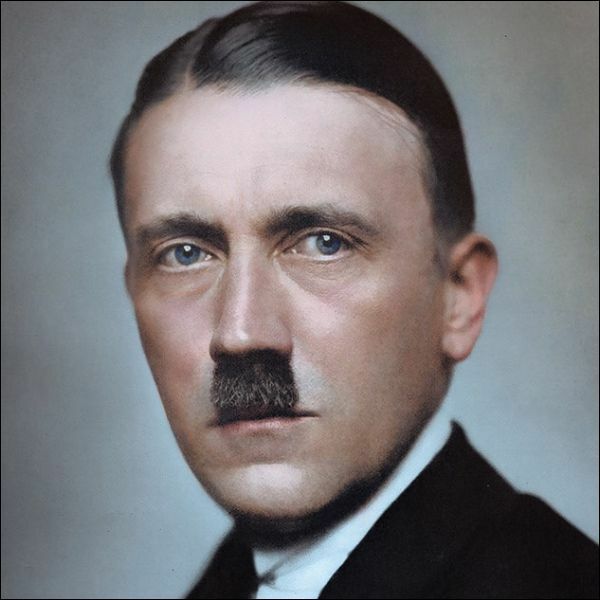 The classical Hitler mustache is cut to look like a square. The mustache ends just above the upper lip and the sides are fit right below the nose. The rest of the facial hair is cleanly shaved in order to outline the mustache. This interesting variation of the Hitler mustache might appeal to the younger generation. The mustache is created in a form of a pyramid that makes it look softer and not as “scary” as the classics. This mustache is easy to make by shaving the sides. This toothbrush mustache is a wonderful idea for someone who has sparse facial hair. If you can’t grow a full mustache but still want to be fashionable and sport one, get a very thin stripe below your nose. It will look quite original. Another way to diversify the scary look is to make the square mustache look more like a gate. Separate the strands right in the middle and brush them to the opposite sides. You will get a unique-looking mustache. If you want to take “the scary” out of a Hitler mustache, consider making it a little less strict. Let your hair grow a little wilder and make the mustache bushy. This way you’ll have to care for it a little less and the result will be more impressive. A sure way to make your mustache look much more interesting is to wear it with long hair. Take a look at the picture. Doesn’t the mustache appear nice and fashionable? All thanks to the well-chosen hairstyle. The scary look turns fun! What’s in a name? A lot! If you call a Hitler mustache a Chaplin mustache, it right away changes its appearance. All depends on what we associate the style with. If you look at this style as something that made people laugh for years, it might be more attractive. If you make the mustache just a little bit longer, it will immediately become something different. Consider going outside the limits of your nose and make the toothbrush mustache a bit more rectangular. This mustache looks very neat because it is cut very short. This will save you a lot of mustache-care time and will make your image more solid. Consider trying this mustache at least once. Perhaps you’ll like it. The smaller you make this type of mustache, the better it will look. It doesn’t have to take up all of the space below your nose and reach your upper lip. Make the square small and cute and your image will change dramatically. Now you know that Hitler or toothbrush mustaches are not as scary as you used to think. In fact, they are quite fashionable and can help you look original. Try a couple of these options to see how they fit you. The best part about them is that you can always shave and forget about the experience!